AC Manufacturing is a complete cnc machine shop capable of machining custom parts to customer specification (conventional and 5 axis machining). We can machine to print and accept the most common file formats including: .dwg .dxf .iges .step .sat as well as .pdf files. If you don't see your file format here let us know. Please send us files to: sales@acmanufacturing.com We can accept both small and large run jobs of custom machined parts. 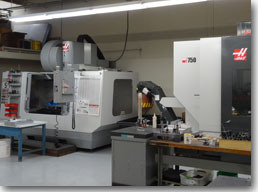 We specialize in manufacturing precision machined parts. With over two generations of knowledge and experience, our team is able to produce parts that require innovative tooling and fixturing in a timely manner with competitive price. We provide Turning and Milling, 3 axis , 3+2 axis & continuous 5 axis machining). We accept both small and large run jobs, Minimum quantity for order is 1. Short lead times are often available 2-3 days. Standard lead time is 2 weeks. Kovar alloy is a vacuum melted, iron-nickel-cobalt, low expansion alloy whose chemical composition is controlled within narrow limits to assure precise uniform thermal expansion properties. 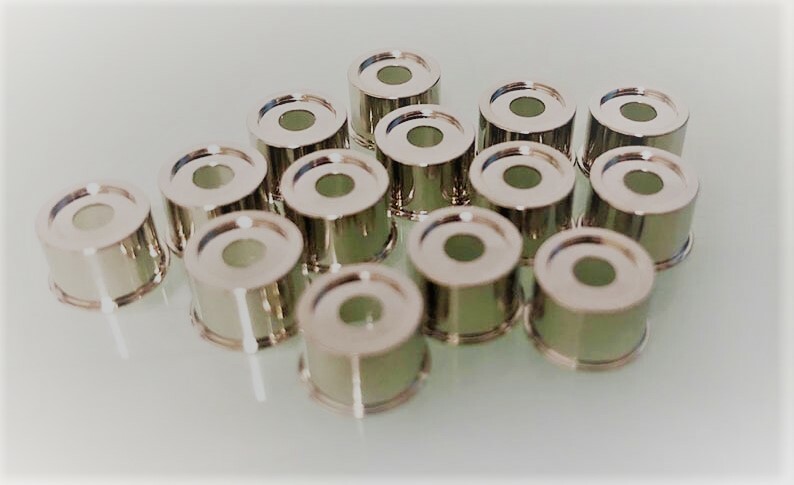 Extensive quality controls are employed in the manufacture of this alloy to ensure uniform physical and mechanical properties for ease in deep drawing, stamping and cnc machining. ASTM F15 alloy (Kovar®) is a controlled expansion alloy most commonly used for high integrity glass and ceramic to metal seals, lids, lead frames and electronic package base. Kovar itself is 29 percent nickel, 17 percent cobalt, and a balance of iron and other trace elements. It’s difficult to fabricate because the nickel is soft and gummy, but cobalt is hard and abrasive. Kovar is designed to cope with computer, microwave, hybrid, semiconductor and space age technology demands, making them extremely valuable to the Defense, Telecommunications and Aerospace Industries. In manufacturing, the term “exotic” is used to describe materials that display excellent wear characteristics, durability and service life in high heat, extreme cold or corrosive environments. These materials were designed to fill a niche or service for which standard materials are not able to perform. Exotic metals include titanium, Waspaloy, Inconel, Hastelloy, Kovar, Invar and Monel. Non-metals include glass-filled plastics or phenolics, Kevlar, machinable glass and machinable carbide. Exotic materials can have 20 percent machinability of carbon steel. Cutting, stamping and forming is possible when preformed at the correct speeds and feeds. But that’s only part of the story. Each material presents potential problems of their own that can make conventional cnc machining practices very chellenging. AC Manufacturing has the experience, knowledge, and CNC equipment required to machine a wide array of materials, including Kovar. Our custom design and manufacturing services means you receive a unique solution to your complex component problems. Nickel alloys usually harden quite rapidly, and the high pressures that machining creates causes hardening and slows down progress, also causing warping in some of the material. We machine Kovar with rigid setup, working at slow speed and using sulfurized mineral oil. When cnc machining Kovar it tends to be gummy. It is adviced to use sharp tools with positive rake angles to cut the metal rather than push it. Sufficient feed rate and depth of cut are necessary and tools should not be allowed to rub the work. Tools have a tendency to plow right through the metal rather than chip away at it. It is important to keep complete control over heating when machining Kovar, as too much of a heat buildup will cause the alloy to warp. Machining Kovar is time consuming. There’s a certain amount of labor intensity to work with Kovar. Our machinists don’t walk away from a lathe or milling center when machining Kovar and constantly observe and make adjustment if needed.